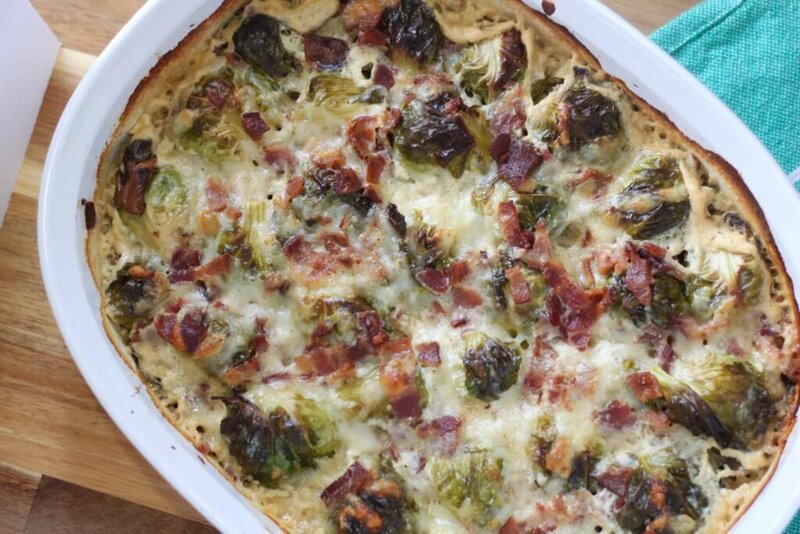 A brussel sprouts casserole with cream sauce and bacon is just so tasty you’ll want to eat it right out of the pan. Although this is technically a side dish recipe, you could definitely consider it a main dish recipe too! This easy and comforting dish is also considered the ideal keto brussel sprouts dish, plus it’s low carb, gluten free and sugar free too. 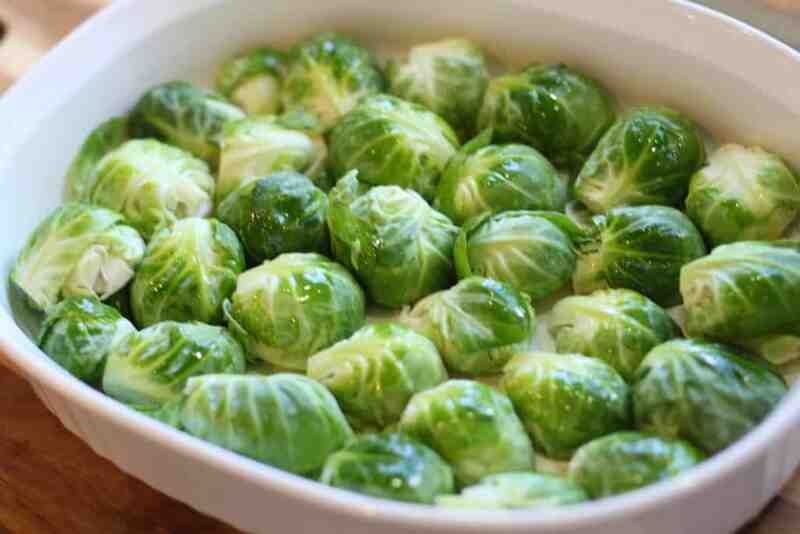 When I was a kid my thoughts about brussel sprouts conjured up all sorts of disgusting and bitter memories of the boiled brussel sprouts, I couldn’t ever understand why my mom even cooked them. Times have changed my friend and you no longer are limited to boiling your sprouts (that and farmers make them less bitter than decades in the past). The days of the yucky boiled and bitter Brussel sprouts from my childhood are long gone, in its place are delicious roasted and caramelized and savory Brussel sprouts that have made Brussel sprouts our family favorite vegetable. The bitter taste from brussel sprouts comes from something called glucosinolates, when you roast those little gems the glucosinolates mellow in flavor and are instead replaced with caramelized and delicious sprouts. 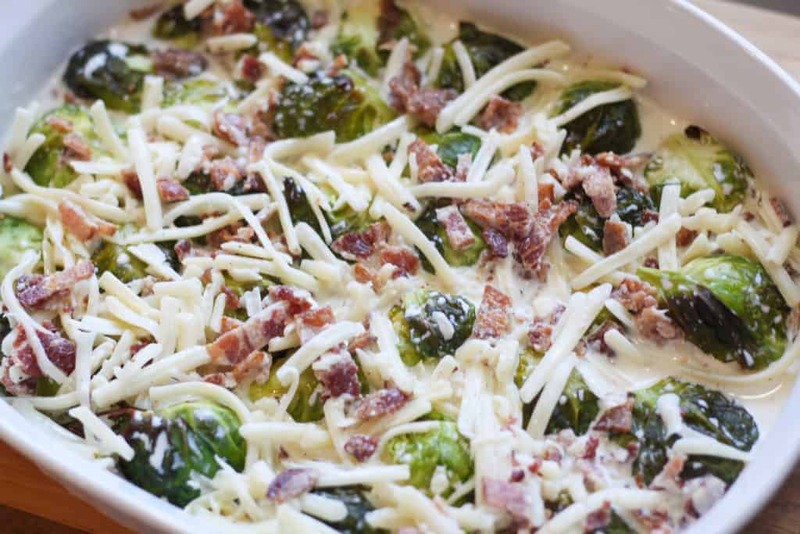 While keto brussel sprouts casserole with bacon and cream sauce can be enjoyed all year-round, they especially make the perfect side dish on your holiday table or as cozy season comfort foods. Yet when you try to find easy brussel sprout casserole recipes, for some reason many home chefs are STILL boiling their Brussel sprouts. Just no in my book! Instead, we created a low carb and keto Brussel sprouts casserole that roasts the tender little sprouts in the oven and then you simply add the creamy cheese sauce to the same dish. These Brussel sprouts with cream sauce and bacon recipe makes for delicious caramelized Brussel sprouts, but ALSO simplifies the process and makes for easier kitchen clean-up. 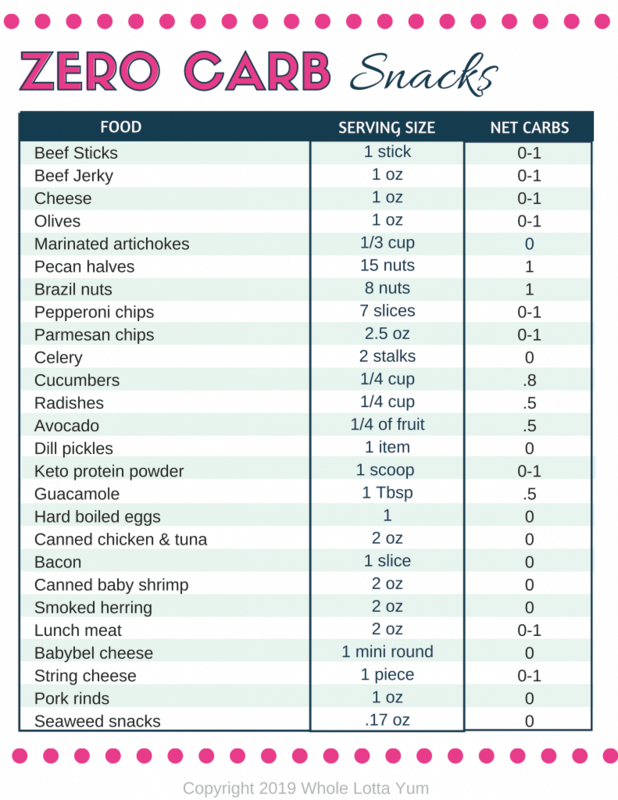 Are Brussel Sprouts Low in Carb? If you’re following a low carb or keto diet, you might be wondering if brussel sprouts are even low carb? With only 5 net carbs per serving, Brussel sprouts are definitely a healthy vegetable you can eat when you’re watching your carbs. My husband is following a ketogenic diet, and this is hands down our favorite keto brussel sprouts recipes! We actually eat brussel sprouts at least two times per week with dinner, that’s how much we love them. Brussel sprouts in general are considered one of the healthiest vegetables out there and are chock full of Vitamin C and and also have a good amount of fiber, vitamins, minerals and antioxidants. If you’ve been wondering how do you make a low carb and keto brussel sprouts casserole that’s easy? This my friend, is your new go to recipe. 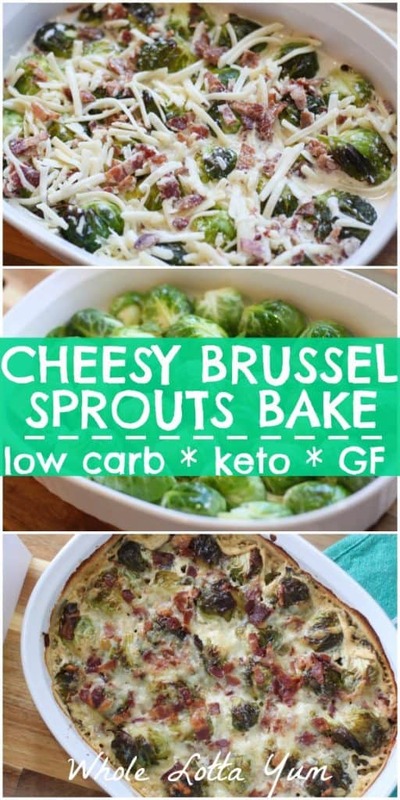 By skipping the extra unnecessary step of boiling brussel sprouts, you instead can make oven roasted brussel sprouts with bacon and cheese right in your oven! You get niche, crispy brussel sprouts with bacon and cheese sauce by roasting the brussel sprouts first. Preheat your oven to 400. Make sure your oven rack is in the middle position. Grease a 2-quart baking dish with oil or cooking spray. Cut the Brussel sprouts in half and lay cut side down in the baking dish. If you aren’t quite sure how to cut brussel sprouts, here’s a Youtube video to help you! So many people wonder how do you make brussel sprouts taste good? The answer is simply in the cooking method! Boiled brussel sprouts or undercooked baked brussel sprouts just taste bitter. The only way to get that delicious carmelized flavor is by roasting or sautéing the savory brussel sprouts to the point where they become crispy brussel sprouts and release the bitter flavor. Bake the Brussel sprouts for 30 minutes in the oven. They won’t be all the way cooked after 30 minutes, you’ll be cooking them longer after adding the cheese sauce. While the Brussel sprouts are cooking, mix the half n half, cheese, salt and pepper. While making brussel sprout gratin gruere and swiss is my favorite cheese combo, any white cheese you have on hand or purchase works too! I’m a big fan of using up what we have in the fridge first. Also, pan fry the 4 slices of bacon while the Brussel sprouts are cooking, crumble when they’ve cooled slightly. Sometimes I’ll use the pre-cooked crumbled bacon from Costco, it’s real and high-quality bacon that makes easy recipes like this, even easier. After the savory brussel sprouts have finished cooking for 30 minutes, pour the cream and shredded cheese mix over the top of the roasted Brussel sprouts. Bake for 10-15 minutes until bubbly and the cheese is lightly browned. You can piece a Brussel sprout with a fork to make sure it’s done and very tender. I hope you enjoy brussel sprouts in cream sauce and bacon! There’s nothing finer than mixed oven roasted brussel sprouts with bacon and a creamy cheese sauce! Whether you need a brussel sprouts with cheese sauce for your holiday table or a keto brussel sprouts casserole to help you stick to a health program, this baked brussels sprout recipe will surely become one of your favorites too. What Should I Serve With Brussel Sprouts? We absolutely love using our Corning white baking dish set, it’s our go to bakeware since it goes from oven to table, whether it be a casual dinner or for your holiday table. Individual gratin dishes would be another way to serve this keto brussel sprouts casserole to make it extra special. 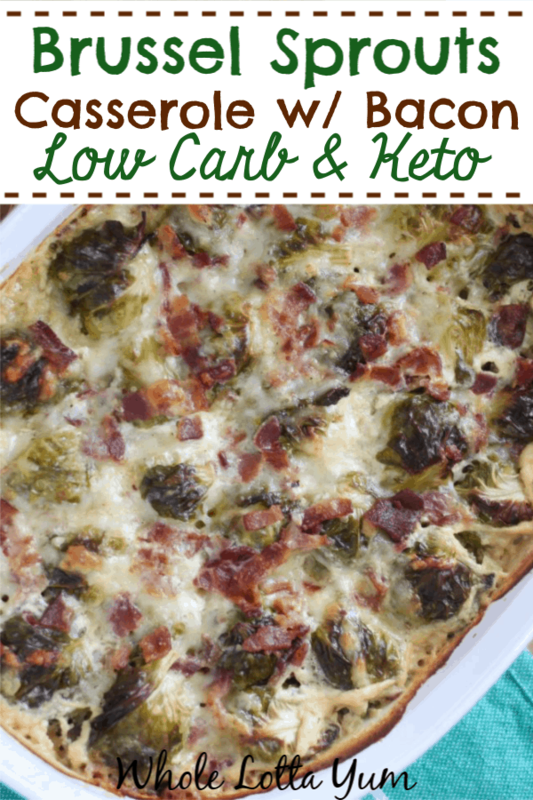 An easy and comforting low carb and keto brussel sprouts casserole with a creamy cheese sauce and bacon. Only 6 net carbs per serving. Bake the Brussel sprouts for 30 minutes in the oven. They won't be all the way cooked after 30 minutes, you'll be cooking them longer after adding the cheese sauce. While the Brussel sprouts are cooking, mix the half n half, shredded cheese, salt and pepper. Pan fry the 4 slices of bacon while the Brussel sprouts are cooking, crumble when they've cooled slightly. After the sprouts have finished cooking for 30 minutes, pour the cream and shredded cheese mix over the top of the roasted Brussel sprouts. You can piece a Brussel sprout with a fork to make sure it's done and very tender. Any shredded white cheese will work, I used a swiss/gruyere blend. 20 Low Carb Thanksgiving Recipes ~ A Complete Menu! If you’re looking for more keto bacon recipes, then you’ll love our bacon and egg cups recipe and also our round-up post with so many of our favorite low carb bacon recipes. What’s the amount of cream we have to add? The recipe says to add 1 cup of half n half. Enjoy! 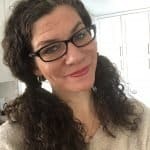 Can heavy whipping cream be substituted for the half & half? For sure! We go between heavy cream or half & half, depending on what’s in the fridge 🙂 Enjoy!